Don't put yourself at risk with an accidental needle stick! 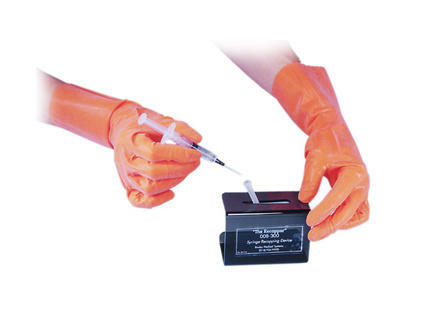 The Syringe Recapper is a safe and inexpensive way to protect yourself when recapping a used syringe. Used either hand-held or placed on a flat surface, such as a procedure tray, the Recapper is made of a lightweight plastic that is easily carried anywhere.